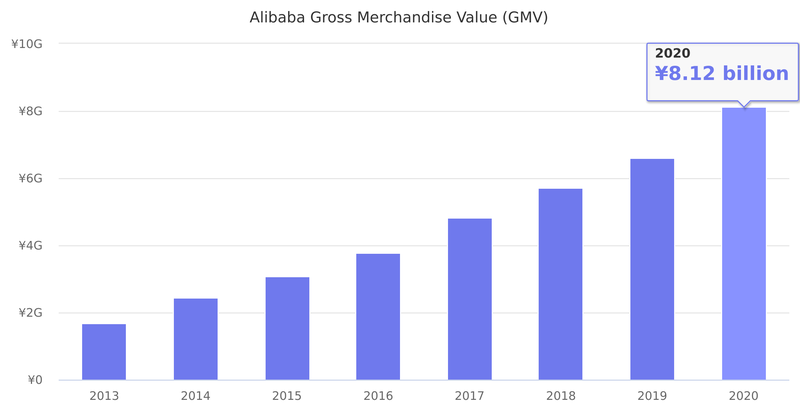 Metric no longer provided by Alibaba. Sales volume on Tmall.com and Taobao.com. Last reported quarter 2017 Q1 it was ¥901.53 million, up by 21% year-over-year from ¥742.00 million. From ¥2,950.00 million in 2015 it increased by 22% to ¥3,608.17 million in 2016.